RCMA Color Process Foundations offers a high degree of coverage on the skin, without the need to use too much. So a little, goes a long way! 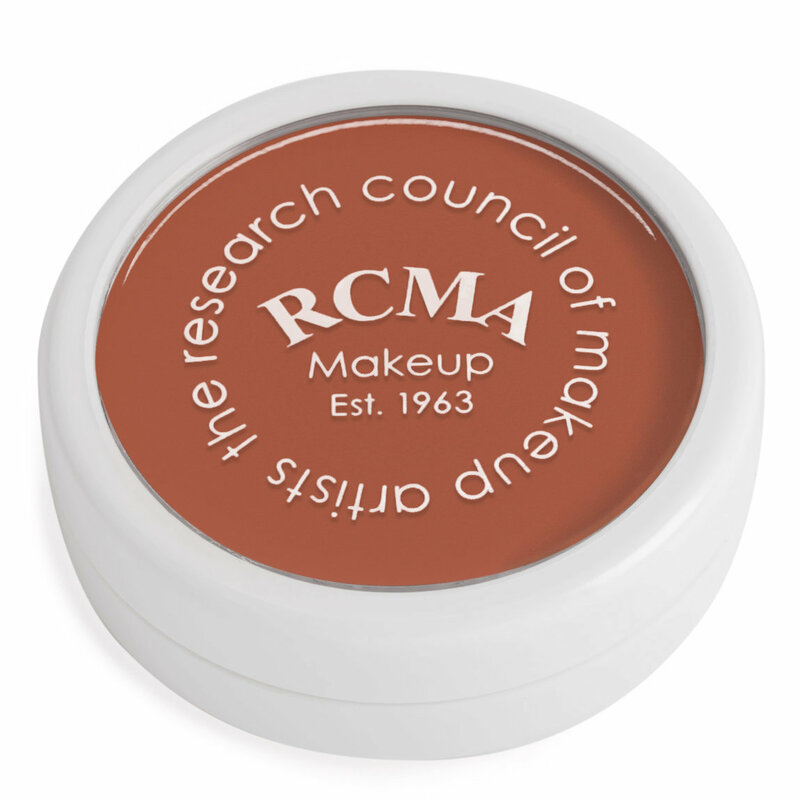 RCMA foundations do not contain perfumes, animal extracts, mineral oils, or lanolin. Perfect match, blendability, and I'll never use another type! I have also wanted RCMA since Wayne Goss raved about it and it hits all his "favorite product " videos. Had to have it, but couldn't get it! Thank God for Beautilish! I had to put Olive Gena Beige on the color section above but I actually use a combination of Gena Beige, porcelain and Ivory. In MAC I am NC15 with white added. Normally I would have gone for Porcelain which I think is a perfect match for my skin. I actually couldn't decide between the Ivory and Porcelain, so I turned to Beautylish for help. Beautylish told me about the different shades in my skin, and suggested I combine the porcelain and Ivory and add Gena. GENA? Says I! Yes, says Beautylish. Where the sun normally hits your face. I trust Beautylish completely and put my face in their hands. I was skeptical about Gena, I have to admit, but when I put it on, I could immediately see that it was what I'd been missing all these years! I use a Beauty Blender Sponge or a Wayne Goss brush, or fingers when I'm rushing, but the difference in my skin is amazing. I can blend all three together, and use all over, put them in deferent parts of my face, or as originally advised, use Gena where the sun hits. I use all three equally, I don't have a favorite, I'm in love with them all. I must say' Gena is the secret ingredient of the group. Looking at it, I was shocked! But I followed orders and trusted Beautylish and now I will never be without it again! As for RCMA itself, it is everything Wayne Goss says it is. The most blendable foundation, easy to mix and feels incredible to wear! No heaviness! It goes a long way, and for this product less is definitely enough. I use a bare tip of a spatula ( thank you, Wayne!) of all three and I have more than enough to cover my entire face with some left over, and since I use it primarily in the center of my face I have some left over, for which I bought contact lens holders until I need it again! This gives a lot of mileage! I would strongly advise working with Beautylish to get your proper shade, as I would never in my wildest dreams have added Gena. But it gives the oomph to my very pale skin ( which I love and do not try to cover) which makes it look healthy and allows me to cut down on bronzer. It gives an absolutely flawless finish. Thank you, Beautylish! I'm always into cream contour with a cool tone, and this is one of the ideal shades for mimicking the real look of shadow. Because the color payoff is so intense, just a few taps of the product can already do the whole job. Esp love using it underneath the cheekbones and the sides of the nose (not so much on the forehead where I'd prefer a bronze color for some reason). I have tried a lot of foundations. I ordered a few samples in the Shinto Line from RCMA's website ($1 each. Shinto is yellow based) and decided to place an order for the full size (well, .75 oz). I still have some left in the small sample container after 3 full uses. This foundation covers ALL my hyperpigmentation, which honestly is not that much but liquid foundations never could seem to cover it and concealer does a good job but I don't need it with a few taps of this and my hyperpigmentation and blemishes are concealed. I don't even need it under my eyes. I saw this first when Wayne Goss raved about it on his You but I really do not like buying foundation I can't "see" so getting samples is awesome. I am in the shade Shinto 4, much to my surprise I thought it was too light after trying 5 and 6, but it really brings out the yellow undertones and matches the colors in my neck/chest. It's amazing. I have combo/oily skin and I didn't know how my skin would react to this wax based foundation. IT LOVES IT. I always wanted that No makeup Makeup look with full coverage effect, and I can sheer it down. I didn't really know that existed and it's only $18. I can apply this with my fingers or a brush or non latex sponge. I sometimes use my Beautyblender, but honestly not when it's wet because it just doesn't make sense to use water with a wax/oil based foundation to me it seems like it would separate. I warm it up on the back of my hand, and It just spreads like butter, melts into the skin for a really beautiful skin-like finish. It doesn't set until you set it so you have plenty of time. It's super buildable. I set with their No Color Powder (I reviewed that miracle as well). This is my HG foundation, I just never thought I would fall so in love with a foundation and at this price point??? I like that at the end of a 16 hour workday, my skin doesn't look oily, or fading or cakey. It just looks like my skin but better, yes a little faded but not in a bad way. I use moisturizer and Bioderm Pore Refiner on my Tzone to prep, and I am good to go. I have never NOT used a regular primer with a foundation. It's a foundation/concealer in one for me. It's a very low maintenance product. Amazing. I've never found a foundation light enough for my pale norwegian skintone, until this one reached my doorstep. Love the color, love the formula. Perfect to mix in a drop or two og aragan oil if you have very dry skin as me. Finally my face neither look too orange or like sandpaper. I had been wanting to try this foundation ever since Wayne Goss raved about it on numerous videos on his You Tube channel. I had to drive an hour and a half so I can go get color match but it was well worth it. One trip and all I have to do is order online from now on. I was suprised how way off I was on what I thought my color would be but thats ok. I bought mine 6 months ago and wear it everyday.......i still have over half a pod left. It lasts a long time. Easy to apply. Sometimes I use a beauty blender but I usually use my Urban Decay Optical Blurring Brush which works wonderful. The coverage is phenomenal. Its creamy light weight. To achieve a full coverage takes very little product and effort. Staying power is basically......its there til you take it off. I have yellow undertones but I hate buying foundations that have yellow in it cause I feel they have too much yellow in it. So I did buy a foundation color that was a perfect match to my peach tones and I use Ben Nye Banana Powder to set it but to give me that little touch of yellow to be a perfect match. And it works. Everyone will be able to find their perfect match by either just one pod or mixing colors. These foundations mix really well together. You will not be disappointed by these foundations. Give them a try. Perfect for my aging skin. Lasts all day, beautiful and natural looking. Does not make my acne prone 70 yr. old skin break out. A little goes a long way and the price is unbeatable. Wish I had tried it sooner. I was nervous to buy this foundation because there wasn't that many reviews and it was cheap. But once I tried it for the first time, I KNEW it was going to be my new favorite foundation. It's honestly amazing. I barley need any at all and it covers my face perfectly. I have really bad under eye circles and I don't even need concealer (even though I still use it). It's truly amazing and I can't believe no one has used it before. This is my first time ever writing a review and I'm only doing so, so that everyone will try it and love it!!!! I gave this foundation 3 stars. Although I love the color match and pigmentation it provides, I cannot get it to stay on my face! I have tried using a primer, no primer, tons of setting powders, and no matter what I do, I feel like it rubs off so easily. I do have oily skin so it might just not work for my skin type. Any suggestions would be great because the coverage and color are definitely a plus! Gena Beige matches my skin perfectly. F1 is also a good match. Skin color: NW20 / Buff in Revlon Colorstay Cream / Beige Rose 20 in YSL Teint Eclat. I watched Kevin Bennett's YouTube video on how to apply RCMA foundation and his technique works well. He says to warm up the foundation and get it pliable, then use fingers to apply it to the face. Then use a foundation brush to buff it in. I don't like the look of this foundation with powder on top: it is too unnatural a look for me. I prefer just the foundation since it is so matte. It is excellent value: you need to use very little at a time for good coverage. I like the fact you can buy different sizes directly from RCMA if the size offered here is not what you want. RCMA also offers samples. The only negative I could mention about this foundation is likely operator error and not the foundation. I have a few broken capillaries that I absolutely want to cover up. This foundation for some reason is pretty poor at doing that, despite its huge percentage of pigment and thick texture. It covers, but a litte bit later I notice it has broken down and revealed what I want to cover. Revlon Colorstay does a better job on these areas. The foundation never turns a different color and lasts as advertized. I even tested it by wearing it to a spin class since they say it withstands heat well. I think if you really are wearing it on a set, you need much thicker coverage than I applied, though, to make it look as it did when it went on. It still looked pretty good after an hour of intense exercise. I like the fact it doesn't transfer off the skin very much at all, even when the wearer is hot. The RCMA blush set looks terrfic with this foundation, applied the same way as the foundation. It looks more natural than any other blush I have tried. This has to be, without a doubt, the most pigmented foundation formula I have EVER come across. I actually went in blind and bought this based on Tristan L.'s stellar review, and it has NOT let me down. I use KN-2 for cream bronzing but this is SO intense. How do I put it effectively? It just GETS TO THE POINT. Bing, bang, boom. Hit your contours with a brush for buildable control or warm some up on a spatula for INTENSE payoff. Although this looks/feels very dense, it warms up to become a slightly emolient, VERY pigmented formula. RCMA really is one of those TRUE make up artist's secrets that just opens up that third eye a bit bigger! I have very fair skin and I use this shamelessly to contour! Don't be scared, IT'S SCIENCE AND MAGIC!